A Teacher without a Class: The Important Book--A Giveaway! I love this book. I ought to purchase the book, rather than deprive the library of its copy for months on end. The illustrations are wonderful, and the writing is superb. Margaret Wise Brown, in my opinion, is the one of the best prose-poetry writers in literature. I use the Brown's prose-poetry structure in many ways: cross-curriculum, expanding my daughter's language, and just to have fun! The important thing about a penny is that it is worth one cent. It is true that it has Lincoln on the front, and his monument is on the back. It is also true that it takes one hundred pennies to make a dollar. But the important thing about a penny is that it is worth one cent. The important thing about this post is that it is my first giveaway. 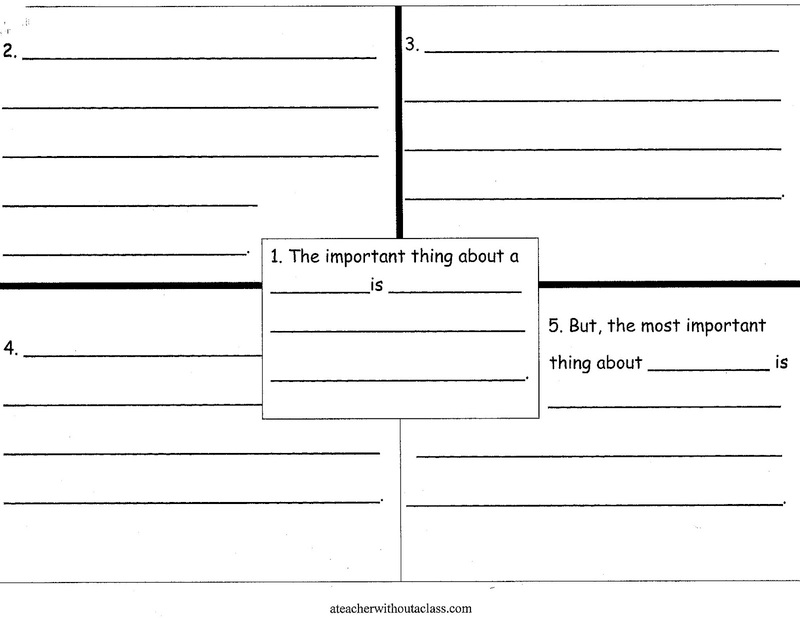 It includes a rubric for making an important book. It asks that you post the giveaway on facebook, twitter, or your blog. You can become a follower of my blog for more entries. It is true you can write "important comments" for additional entries. It is also true you will receive a copy of book if you win. But the important thing about this post is that it is my first giveaway. 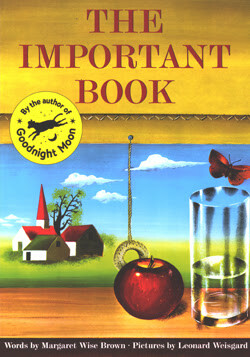 To win The Important Book, by Margaret Wise Brown you must enter the giveaway. 1. 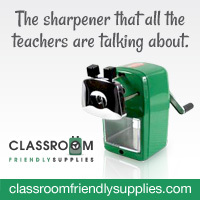 Post the giveaway on facebook, twitter, or your own blog. 1. Write an Important thing about summer is . . . . . . and then add your important paragraph in comment section. 2. 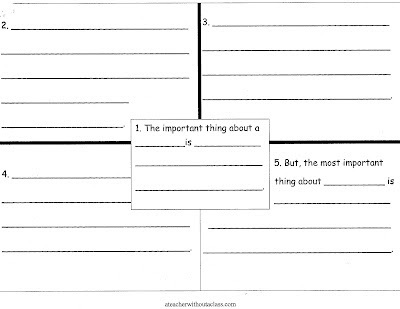 Have your children/students write an important thing about summer is . . . . and add it in the comment section. The giveaway is open until midnight, Saturday, June 30. A winner will be selected randomly, but I will post the writing entries! The important thing about summer is that we have fun. It is true that it is the hottest season of the year. On the first day of summer, we have the most light. But the important thing about summer is that we have fun. Joshua S.
The important thing about summer is hanging out with my kids. We spend a lot of time playing outside. We go on adventures, day trips, and vacations. I don't get very much housework done. But the important thing about summer is hanging out with my kids. The important thing about summer is staying safe. So many summer activities can be dangerous or exciting. It is fun to swim in the bright sun with friends. You can go hiking in the woods, far from town, enjoying nature. But the important thing about summer is staying safe. The most important thing about summer is being outdoors! It is true that rainstorms may occur on some days but, maybe not all daylong. It is true that you may get sick and not be allowed to play outside. It is also true that too much sunshine can cause a horrid burn on the skin you've exposed. But the most important thing about summer is getting outdoors where the oxygen is free! The important thing about summer is being able to do so many things that are impossible when school is in session. Traveling...reading the day away...taking on big projects and the best part is that I get them done! The important thing about summer is... i get to read all those books that are piling up! Its true there is no school. It is also true that it is hot and sunny and perfect for going to the beach. It is true that I have a to-do list three miles long but who cares? Because the important thing about summer is that I finally get to read all those books! The important thing is that I signed in last night. It is true that my paragraph does not show up this morning. It is also true that I had to rejoin to be able to do anything even though I was able to post on Facebook, but the important thing is that I logged on and wrote a summer stroy last night! I like this book and I should buy this book, rather than remove the library of its copy for months on end. The pictures are great, and the writing is superb. Mostly college students face difficulty during making assignment. I like to recommend them to contact any company who providing well-writing custom assignment writing as per guidelines. It is better for them.